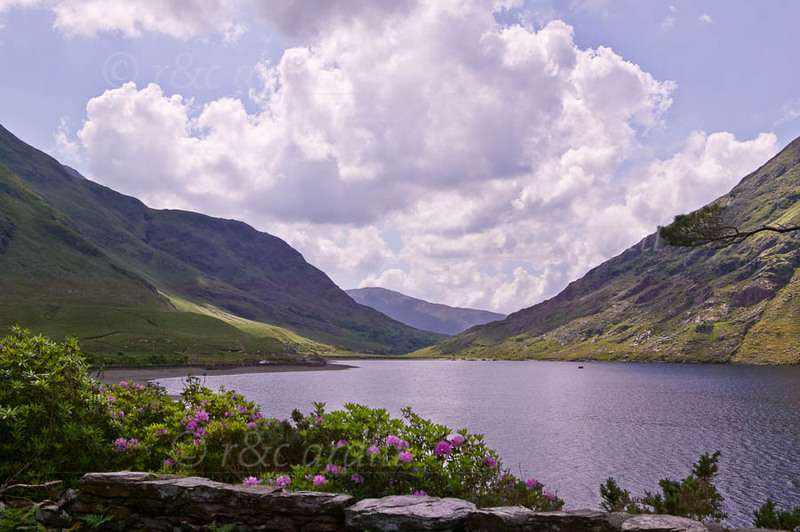 Photo of: West of Ireland: Mayo: Doo Lough. A view of Doo Lough in late spring. The area abounds with rhododendron. The slopes of the Sheefry Hills are to the right and Ben Lugmore to the left of the image.